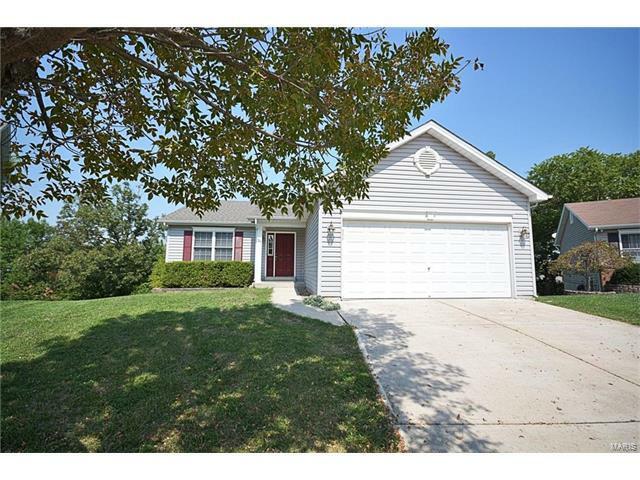 This awesome ranch home in Homefield subdivision is nestled on a cul de sac, backs to trees, has new carpeting (Aug 17), main floor laundry, and not 1, but 2 master bedroom suites! The vaulted great room and kitchen are perfect for entertaining. The kitchen is spacious with loads of cabinets, plant shelf and opens to a large backyard deck with patio below. The main level master bedroom suite offers his and hers closets and separate shower and tub. The exquisite finish in the LL adds approximately 800 sq ft of addl living space. The rec room area can accommodate a pool table and the family room area has plenty of room for your big screen and sectional! Crown molding, deep trim, decorative "column like" room dividers add style and the surround sound adds atmosphere. The LL master bedroom suite is beyond gorgeous with double doors, a huge walk-in closet with organizers, adult height vanity, corner soaking tub and separate shower all beautifully tiled. Call Today! 70 to North on Hwy 79. LEFT onto TR Hughes Blvd. RIGHT onto Homefield Blvd. Turn LEFT onto Homerun Dr. Turn RIGHT onto Homefield Gardens. Turn LEFT onto Homefield Trace Ct. Home is on RIGHT.